**Updated! **What is Dropbox, and how can you get the most out of Dropbox on your computer, phone, or tablet? 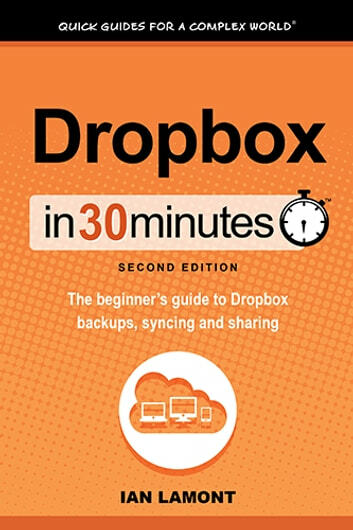 In Dropbox In 30 Minutes (2nd Edition), award-winning technology journalist Ian Lamont uses step-by-step instructions, screenshots, and a touch of humor to explain everything from basic Dropbox installation steps to best practices for Dropbox sharing. In a single sitting, this quick and easy guide will help you get the most out of Dropbox on your computer, phone, or tablet. The second edition of this popular Dropbox book includes updated chapters as well as additional sections describing new features of the Dropbox apps for Windows and Mac PCs and laptops, iOS devices (including the Dropbox app for iPhones and iPads), and Android phones and tablets. The Dropbox manual also covers many useful features of Dropbox.com for backing up, sharing, and recovering files. In addition, the book’s popular Dropbox FAQ has been expanded. How can I get free space on Dropbox? How do I delete Dropbox? Why is Dropbox taking so long to sync? Are Dropbox Business and Dropbox Pro accounts worth the extra cost? How can I recover deleted Dropbox files? What happens when the same file is opened simultaneously on more than one computer? What are third-party Dropbox apps? 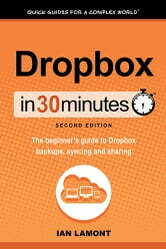 Note: Dropbox In 30 Minutes is not affiliated with “For Dummies” books, Dropbox, or other services referenced in the guide. In 30 Minutes® is a registered trademark of publisher i30 Media Corp. All rights reserved.